Drivers in Waukesha and Milwaukee who are looking for their next car but aren’t sure if they should buy used or new, browse our selection of used Toyota Camry models, used Toyota Prius models, and more to see if there is one that’s right for you! Then be sure to check out our used vehicle specials to find a great deal. 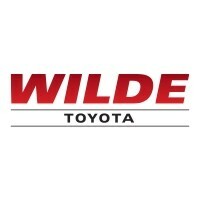 No matter what your automotive needs are, be they used, new, or certified pre-owned, we are eager to fulfill them at Wilde Toyota, so stop on by!